"Since the age of three, sixteen-year-old Evelyn Winters has been trained to be Daughter of the People in the underwater utopia known as Elysium. Selected from hundreds of children for her ideal genes, all her life she’s thought that everything was perfect; her world. Her people. The Law. Together with Gavin she plans her escape, only to learn that her own mind is a ticking time bomb... and Mother has one last secret that will destroy them all." First line: "My life is just about perfect." Thoughts: Originally, I had no idea what to expect. I'm not a huge fan of sci-fi books, but I kept hearing amazing things about RENEGADE so I gave it a go. Let me tell you guys, this book blew me away. I cannot fathom into words how authentic and utterly spectacular RENEGADE is. I just...I can't. It's stunning. It really, really is. First off, the setting? GORGEOUS! Imagine living inside a giant underwater dome. Imagine mending your garden but instead of birds, there are fishes and replace their chirps with whales singing. Mesmerizing, right? Indeed. When it comes to world building, the author uses such vivid details to the point where I honestly thought I was there. I constantly wanted to place my hand against the glass and watch the whales swim by. But is the scenery worth the price? That's the million dollar question, folks! Evelyn aka Evie is the daughter of the people. I guess the best way to describe her position in this society is she's the princess and Elysium is her kingdom. Her life is practically perfect, except for the fact that her mind is constantly being altered and her "Mother" is a psycho. From the very beginning, you know her mind is being messed with. 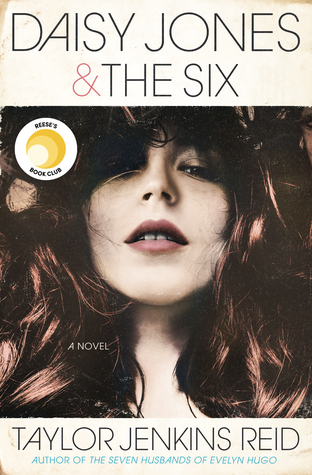 Her life is a constant battle between muddled memories and being the perfect daughter. Initially, I wasn't sure how I felt about Evie. Here she is, sniffing roses in her garden and following rules like the good girl she has to be. She even gets to sleep in till 10:00 AM every morning! Eek! After the first chapter, though, I knew there was a fighter in her. Her life isn't perfect and as many time as they try (and sometimes succeed) to alter her mind, something inside keeps fighting for her to find out the truth. I constantly begged for her to remember. It's one of those moments you have where you, as the reader, know exactly what's going on, but the character doesn't. I can honestly say the phrase "Oh, come on" slipped from my lips multiple times. Needless to say, I heart Evie. Let's talk about romance and oh yeah, Gavin. The romance in this book is mainly based around tension and desire. No one is allowed to touch Evie and even if they were, Mother has already chosen a couple other guys for her to "Couple" with. Gavin is a surface dweller that somehow found his way into Elysium. Normally surface dwellers are killed on sight, but not in this case. From the very beginning, you know Gavin is special. He's easy to fall for and just a down to earth water good guy. He just wants what's best for Evie and will even accept the fact that maybe what's best for her isn't him (thought *I* think he is). Can you believe that, folks? A good guy who is neither obsessive nor the jealous type? Insane! And lastly, Mother. I have to be honest, I haven't read such an evil villain since Lord Voldemort. Excuse my vulgarity, but this lady scares the crap out of me! She's manipulative, malevolent, and all those other terrifying things I personally love in an evildoer. In the words of Damien from Mean Girls, "She's fabulous, but she's evil." Overall, I highly recommend everyone and their mom to pick up a copy of RENEGADE as soon as possible. I'm literally sitting here, shaking from excitement and book bliss. That's how much I love it. To say I can't wait for it's sequel is an understatement. Friends and foe, add RENEGADE to your Christmas lists now or forever hold your peace. 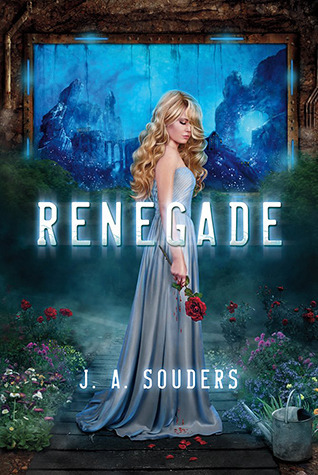 Thanks to the fabulous people over at Tor Teen, I am giving away a copy of RENEGADE. That's right, one lucky winner will be able to revel in all the glory that is book heaven. All you have to do is fill out the Rafflecopter form below. This giveaway is only open to US participants and will end December 16. The winner will be emailed shortly after and will also be announced in that week's Weekly Round-Up. Yay. Go...enter and may the odds be ever in your favor. Yay! Glad you loved it too. It was a wild ride. The premise sounds so intriguing. The cover is fabulous!! I love the coloring. I've actually had my eye on this for months. I'll admit it, I'm a cover lover and if I dont like the cover, I usually don't read the book. . . I know, it's horrible. But Renegade has a great cover!!! I can't wait to read it! Because it looks freaking AWESOME!!! The setting and concept sound amazing, and I've been hearing SUCH good things about it lately. AAAH, I haven't really been excited to read this one until now, so thanks for that, Lena!! The world building does sounds awesome! I love a good mystery/romance, and the cover is pretty awesome, and the mother sounds like a perfect villan. Can't wait to read it. The idea of living in a giant underwater dome is pretty unique. That alone would get me interested in the book. Thanks for the giveaway. I'm so in love with any book about an underwater world. The second(?) Pendragon book got me hooked. I want to read Renegade because I love good sci-fi. I want to read it because I have read so many good reviews on this book. I have to know for myself! I so want to read Renegade now because you made it sound so fabulous, and I am personally loving the sci fi genre right now. This book sounds superb, with gorgeous scenery and awesomely powerful characters. I would love to have it in my library! I have been so excited about this book since I first spotted that gorgeous cover! I think what really draws me to it is the fact that it's set in this incredible-sounding, unique underwater world -- and it's about perfection. Books about perfection and trying to have the "perfect" society are always interesting to read, as they invite the reader to question things like that! The synopsis got me all curious. I haven't read any book yet with a setting underwater. Can you believe that, folks? A good guy who is neither obsessive nor the jealous type? Insane! Sure am loving the sound of Gavin! Thanks for the review and giveaway! I'm intrigued by any book with the word "utopia" in its blurb. I want to read this because I think the whole underwater world sounds cool. I have heard great reviews about Renegade, and I am looking forward to it! I have seen the book around and anything about water immediately peaks my interest. The underwater world sounds awesome and I am curious to read the authors descriptions. Thanks for the giveaway. The characters sound amazing! Evie sounds like such a strong protagonist, and Gavin? Sa-wooooon. ;) I'm so glad you loved it, Lena! Fantastic review. The characters and the story line sound really good! And the cover is amazing!! I want to read Renegade because I like stories where the character comes to a sudden realization that the truth really isn't the truth. The exploration of the aftermath of that discovery is fascinating. You highly recommend it. A great reason for me to read it! I wasn't too sure about this book, but now I really want to read it. It isn't that often that a book review makes me laugh out loud. My friend and I were talking the other day about how most people just don't get references when you use them in daily conversation, and then you go and throw a Mean Girls quote :). The Renegade sounds really interesting. I'm curious to see how the story goes. Sounds like it has fantasy element in it. Pretty neat.